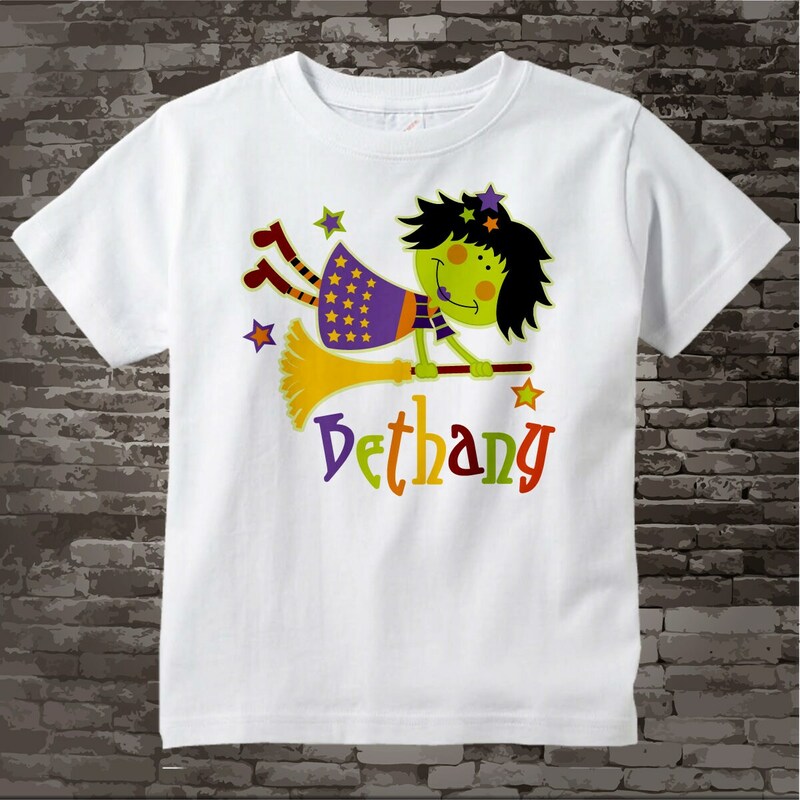 Cute Halloween Shirt or Onesie. 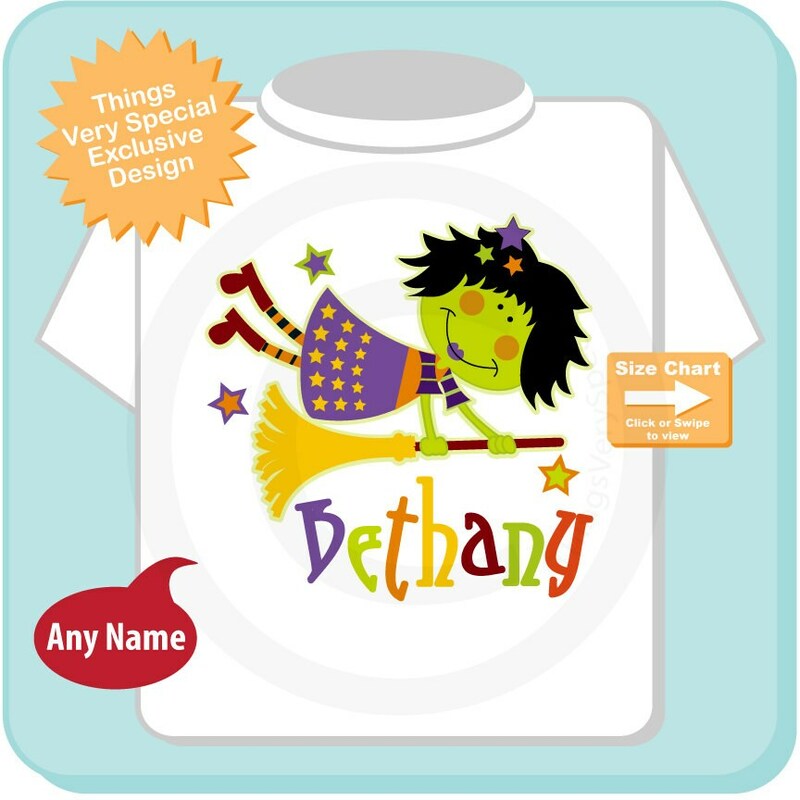 Super cute Personalized Halloween Witch tee shirt with awesome cute witch. Name you want added. If no name is wanted please state no name. Just a darling shirt. My granddaughter put it on right away. Great service. Lovely, she loved it! Thanks so much! Quick delivery and very nice to deal with.